Dennis K. McIntosh, Veterinarian and Consultant at El Dorado Animal Hospital, has been recognized by Marquis Who’s Who Top Health Care Providers for dedication, achievements, and leadership in veterinary science. Dr. McIntosh has loved animals for as long as he can remember. He became acquainted with them early in life, and participated in 4-H, FFA, and rodeos to learn more. Dr. McIntosh eventually decided to dedicate his career to veterinary science to better help and understand them. He earned a Bachelor of Science in animal science, a Bachelor of Science in veterinary science, and a Doctor of Veterinary Medicine from Texas A&M University in 1963, 1967, and 1968, respectively, and he was off. After a brief stint as an assistant county agricultural agent in Cleburne, Texas, he joined the U.S. Air Force Veterinary Corps. 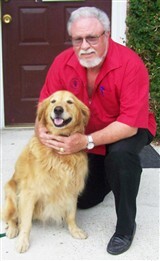 He served for two years before returning to civilian life as the owner and operator of Park North Animal Hospital. Then, in 1973, Dr. McIntosh decided to open his own practice, El Dorado Animal Hospital, and he has been there ever since. As a testament to his hard work and dedication, Dr. McIntosh earned an Outstanding Business Partner Award from the Northeast Independent School District, the Lynn Anderson Outstanding Service Award from the San Antonio Chapter of the Delta Society, the Outstanding Service Award from San Antonio College, and the Alumnus Award from the Guadalupe County 4-H Club. His achievements were highlighted in numerous editions of Who’s Who in America, Who’s Who in Science and Engineering Who’s Who in the South and Southwest, and Who’s Who in the World. When Dr. McIntosh has free time, he enjoys raising cattle on his small ranch.